A.T. Cross was founded in 1845 and initially manufactured gold and silver casing for pencils. In 1879, they produced the first stylographic pen, a forerunner to the modern ballpoint. The introduction of the slim Century Classic was a defining moment for Cross. Cross has moved on to bigger and better things, while keeping some favorites. Take a close look at their oldest and newest collections. The quintessential statement of style and confidence. For those who value individuality and impeccable style, Townsend embodies classic American elegance and finesse. Inspired by the graceful lines of 1930’s Art Deco movement, with distinctive finishes, precious metals and the signature double band, Townsend delivers a lifetime of smooth, effortless writing. These Century II and Townsend pieces are colors which were most recently sold outside the U.S. Cross offered them to us at these amazingly low prices. Cross pens have a lifetime mechanical guarantee. The two-piece rollerball pen can be converted to a ballpoint refill if that’s your desire. The one-piece ballpoint Century II and Townsend are a ‘twist to deploy’ to extend the writing tip. Ferrari: Off to the Races! Cross is delighted to introduce their two bestselling collections, Century II and Classic Century, in Scuderia Ferrari livery. Presented in gleaming black, red or yellow lacquer or choose the polished chrome (to match your wheels). The Scuderia (Italian noun for stable) Ferrari collection is based upon a longtime favorite of Cross followers, the Century II design. It is best described as just a touch smaller than your average size. It fits and feels great in the hand. The weighting is perfect. The Scuderia Ferrari shows authentic details like the custom designed clip which bears the official Ferrari emblem. The clip is fashioned into a replica of the nose and cockpit of a Formula 1™ Ferrari race car. Your new Ferrari arrives in a custom box and has an anti-counterfeit label to assure its authenticity. All of the great features found in the Scuderia Ferrari Century II are also found in a more diminutively sized Classic Century. Known for its smaller than typical width, many find this to be a great go to pen for notes and a quick meeting. The value can’t be beat. Cross brings modern industrial design trends to the fore in this chic, urban ATX redesign. Its sleek silhouette is sharply dressed in diamond-patterned, machine-turned engravings on blackened steel and copper tones for an unmistakably bold look. You can add your own personal style with our selection of refills in up to 10 colors. ATX’s tapered silhouette with an integrated clip provides ample room for adding a personalized engraving. The ATX of course carries a Lifetime Mechanical Guarantee from Cross. Created with a keen appreciation for modernist design, the new Century II, offers a bolder look and wider girth than the original Classic Century. Saturated with color or finessed with precious metal, it's everything Cross is famous for, only bigger. Beautiful precious metal and translucent lacquer finishes provide a bold take on the classic Cross profile. As with all Cross pens, it’s precision balanced and weighted for a rich, tactile writing experience. The Century II is presented in a luxury gift box; perfect for engraving and gifting. A Bluetooth Enabled Trackable Pen. Never Misplace Your Pen Again! Bold both in size and concept, this innovative pen will not go unnoticed. The tracking device inside offers a suite of features to ensure you never get separated from it (or your phone). The new Cross TrackR is a truly unique writing instrument to own or give as a gift. We know of several friends who can use this exciting Cross TrackR right now. Cross continues their tradition of honoring each new year; 2019 is the Year of the Pig. Crafted on the Townsend body, this lacquered jewel is hand-polished to a translucent finish with deep engravings revealing the Pig pattern. The engravings are filled with 23k gold inlays. The trim is 23k as well. The fountain pen features an 18k gold nib. The rollerball and ballpoint each take a Cross refill; known for their quality. The ballpoint is a twist to deploy. The cap posts and has a positive click. Celebrate 2019 with this year’s Limited Edition, Year of the Pig. Live large with the bold new Cross X Series, the pen that tells the world you mean business. This capless Gel ink rollerball pen comes in a variety of modern finishes, and features a powerful wide stance with strong lines and the iconic Cross conical top. It springs into action on demand via a dynamic patented snap-open, snap-shut slide writing mechanism that extends the pen when you’re ready to put ideas to paper. Most Cross ballpoint pens are a one-piece twist to deploy design. The desk set ballpoints are always ready to write with no mechanism to deploy the point. Fill your Cross ballpoint with the standard Cross refill available in black and blue ink with a fine, medium or broad point; available in red ink with a medium point. Enjoy a Monteverde option for Cross ballpoints that comes in 10 different colors. A coveted name in writing instruments for many years, Cross offers a wide range of fountain pens to fit the most discriminating tastes. Cross fountain pens are sold with fine, medium or broad nibs. Some models are fitted with rhodium plated gold nibs and other feature stainless steel nibs. 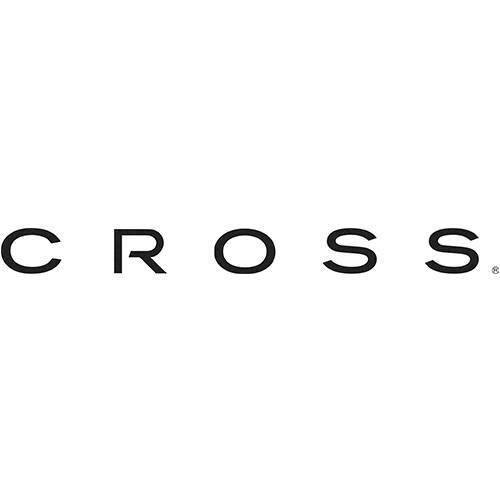 Cross fountain pens will accept only Cross ink cartridges or can be used with a Cross converter and bottled ink. Most Cross rollerball pens feature a separate cap and body design. Your Cross rollerball pen will accept a Cross rollerball refill or a specially designed Monteverde rollerball refill. Cross fiber tip refills will fit, as well as a special refill to convert your rollerball into a standard ballpoint.